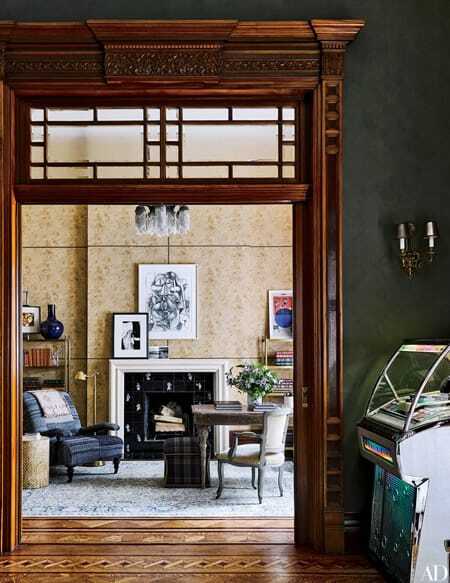 Actress Jessica Chastain has the poise, grace, and beauty of an old Hollywood movie star, so it was a lovely discovery to find that the apartment she calls home in New York City captures that same essence in its decor. Jessica invited designers Jesse Carrier and Mara Miller to turn her historic apartment into a place that reflected her, and they absolutely delivered. The home is full of rich colors, lavish fabrics, and antique touches that give it a classic elegance. It is full of character without losing an ounce of sophistication. It is one of those homes that you could discover something new in every time you looked at it. There is so much going on, but it all comes together in perfect harmony to create something unique and beautiful. There is a lovely balance of the masculine and feminine in the design. Stunning florals mix with dark woods in beautiful harmony. 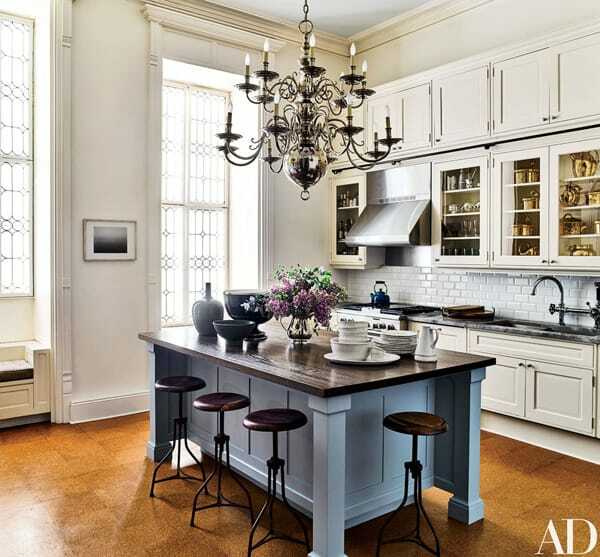 Similarly, some of the rooms have a dark palette, while the kitchen is bright and airy. The contrast keeps things interesting and is a great example of how you can mix all the things you love into one home when you do it with a clever hand. 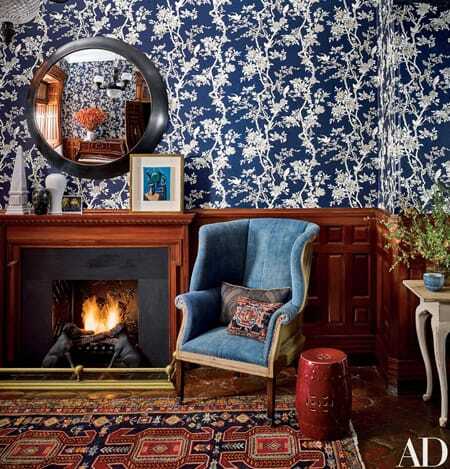 Enjoy this inspiring home tour from Architectural Digest. Rich red walls are warm, yet lavish in the living room that is full of decadent touches. 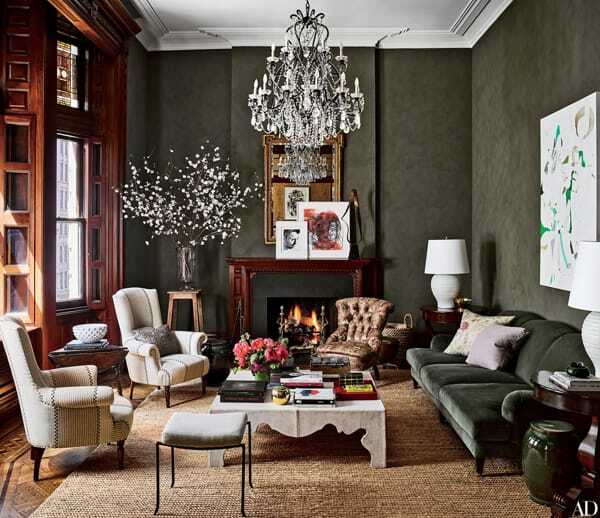 A sparkling chandelier creates a striking contrast against the dark walls and masculine furniture. 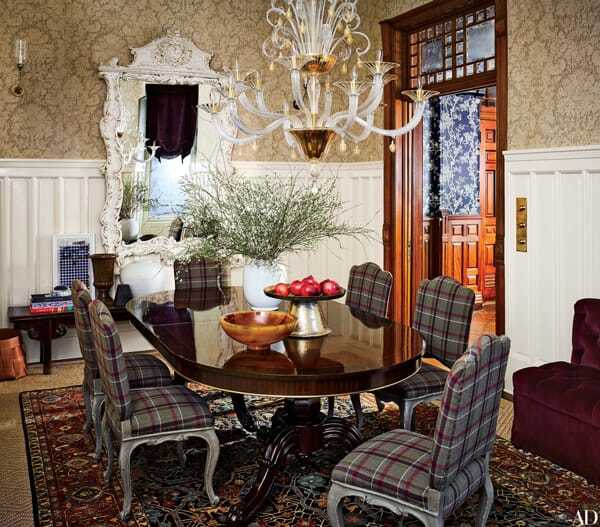 Tartan brings a casual touch to this otherwise luxurious dining room. 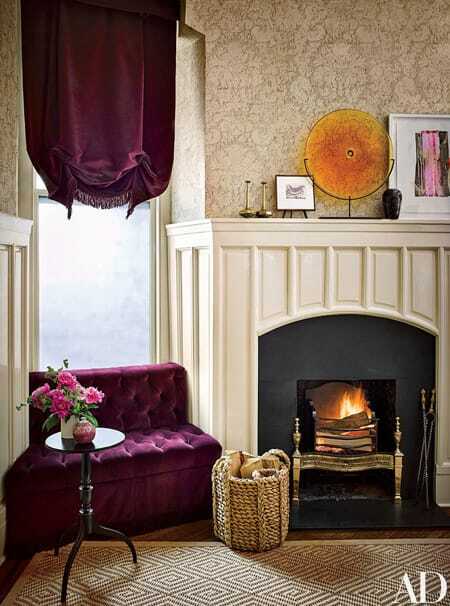 A plum-colored window seat and curtain looks darling in this corner. Making this bold, charming statement made great use of an otherwise awkward spot. Amazing woodwork can be found throughout the apartment, like this incredible threshold and the flooring below it. Jessica didn’t shy away from bold, feminine patterns like this blue and white wallpaper. It creates an interesting contrast with the more masculine wood paneling. The kitchen is bright and airy with white cabinets, a light blue tile backsplash, and a charming blue island. A copper tub brings the antique aesthetic into the master bathroom in a subtle way. The master bedroom is soft and comfortable with pink accents and more stunning, luxurious fabrics. This home is definitely fit for a movie star.